If while reading this book you do not laugh out loud, you are missing a sense of humour. This is a series of letters from a friend of the Plass family who has broken her femur and writes with the fervor, passion and spelling of an eight year old. Plass collected her letters and some of the responses she received and published them in this hilarious collection. Andromeda has written to the Plass's and some of their friends but she also writes to famous people: Mister Gorgeouschops, her MP, Pope John Paul, Cliff Richard ad many more. The humour and wit surrounding this girl as she recovers from her injury will make you laugh and look at any future convalescence you have with very different eyes. This little book is picked up in my extended family time and time again, and never fails to bring a laugh and smile. This year, however, is different. I usually read for 2 hours a day. Now, in the last month alone, there were 3 days where I did not get any reading time in. With the accountability sheet I have developed, I make major changes each year - drop items that are no longer needed and become habits, or add items that are new priorities for me. I find by taking a page in my journal and spreading these 5 down the margin and then answering them a few times a year, I can usually keep my focus and goals in sight. To eat right & exercise daily. To refuse to be a perfectionist. To ask for help when needed. To pray and read the Bible daily. To not pressure self into planning entire life today. I will do all things as unto the lord. I will live in the light of the judgment seat of Christ. I will consider my weaker brother in all I do. I will do nothing unless I'm sure that it's right to do. I will do all things to the glory of my God. I will avoid what may appear wrong even if I know it's not. I will abstain from things that could enslave me. I will seek always to do what I believe Jesus would do. With these three sets of guiding questions or goals, I have been fairly happy with my progress so far. However a lot of that changed this year. This is the first time I have been off work for more than a year since I was 13. I have worked fulltime since I was 16 and this is such a change for me. I have tried to use my time well; I have tried to volunteer more, spending more time on Campus, writing for Imprint and doing other stuff on campus. This year I have read 200 books, which is the most since back in high school. I tend to average about 125 a year. But my life is changing. I am heading into my 4th year of married life, and we have a 15-week old baby now. Life really changes with children. I used to think I knew about love, being married and having many great friends. Yet when I hold Abby and look into her small face and see her looking up at me, I feel love and responsibility in a whole new way and level. So what does all of this have to do with New Year's resolutions? Well this year I am making some. Since I have been off work 16 months with an injury, and just had surgery 10 weeks ago, I have gained over a 1/4 of my pre-injury body weight. I have set the goal of losing 50 lbs by the end of June to get back to where I was before the injury. I can now use the treadmill again for exercise, and though there is still often pain, it is not as bad as before the surgery. I am also setting the goal of reading to Abby every day. I would also like to try to write an article for at least every other issue of Imprint and make at least every other production night. I have just sold my first article to a US newspaper and would really like to work on the craft of writing this term. In the last year and a half, I have published over 50 book reviews and articles in 5 different publications. This year I want to try to publish in a few more publications but care less about the volume. My goals are to be a good man, a good husband and a good father. I think the activities listed above - the journaling, staying healthy in body, mind and spirit - will help those goals. I want to be a better friend to the people in my life. I want to give back for all the blessings that have been poured out upon me. So yes, this year I will be setting some New Year's resolutions. I will let you know how it goes. This little booklet will help you understand the importance, significance and benefits of frequent confession. It draws its inspiration from Pope John Paul II's address Ad Limina given in April 1983. It is a great little guidebook. The second chapter has a step-by-step guide on "how-to" for the process of penance. Chapter 5 goes through each of the 10 Commandments with an explanation of the spirit of the commandment, and has a series of questions to help you think about your life, and how this commandment affects your life. The book finishes with a small collection of prayers - those often used in penance, and those used in confession. This is a great little book that will help you understand this Sacrament if you don't practice it, and will help it be more fruitful if you do. A friend came up with this and I thought it was great and asked to repost it here. His blog is called Still Waking Up and his name is Craig Martin. 1. Answer every phone call and email as soon as you get it. Drop whatever you are doing. You can always come back to it later (if you remember). 2. Attend every meeting you are invited to. If you don't go, the meeting will be a failure. Whatever you were doing at your desk is less important than participating in a discussion. 4. Always have someone to blame for your problems. Remember - victims always have an excuse for failure. If you aren't a victim, you're part of the problem. 5. If you have some spare time at home, waste it on mindless entertainment. Only workaholics spend their free time investing. You'll probably have a secure job until you're 75, so why worry about extra income? Starting a business might give you a return years from now. Entertainment gives a return right now. 6. Education is for teenagers. You were done school a long time ago. Your diploma helped you get a job, and now that you have a job, why learn more? 7. If you feel like doing something, always check to make sure it meets someone's needs other than your own. If you think you might step on someone's toes, then don't do it. Never delegate. Remember, "If it's to be, it's up to me." Who can you trust anymore? Nobody can do it as well as you can! This one was referred to me and comes from a few sources, I believe the original is here at Elmbrook Center and it on Amazon.com as a 'Listmainia List': is shows up as a summer recommended reading list for University students interested in the Catholic Tradition. Though not as extensive as 'A Catholic Lifetime Reading Plan' by: Fr. John McCloskey it is definitely worth taking a look at. These books are suggestions for summer reading for students. Ackroyd, Peter -Thomas More. The saintly chancellor and his times. Auclair, Marcelle Teresa of Avila, a Biography. Belloc, Hillaire -Path to Rome. Boylan, Eugene - This Tremendous Lover. Chesterton, G.K. - The Dumb Ox, the Life of St. Thomas Aquinas. Escriva, St. Josemaria - The Way. The Furrow, The Forge. Escriva, St. Josemaria - Christ is Passing By. Escriva, St. Josemaria - Friends of God. Gilson, Etienne - The Gilson Reader. John Paul II - Evangelium Vitae, "the Gospel of Life", an encyclical letter issued March 1995, discusses threats to the dignity of human life. Knox, Ronald - In Soft Garments, "Apologetical" talks. Knox, Ronald - The Hidden Stream. Lewis, C.S. - The Great Divorce. Lewis, C.S. - Mere Christianity. Lewis, C.S. - The Problem of Pain. Lewis, C.S. - Till We Have Faces. Merton, Thomas - The Seven Storey Mountain. Newman, John Henry - Apologia Pro Vita Sua. 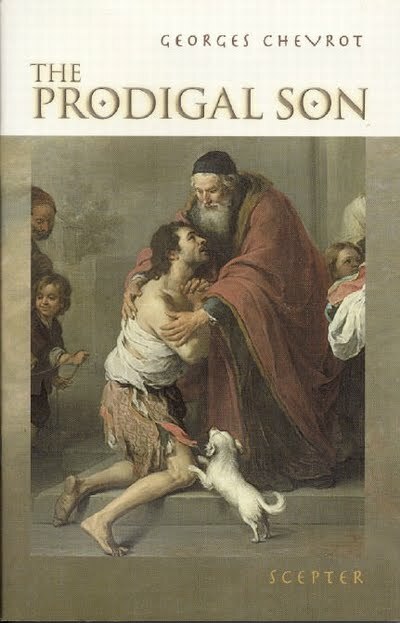 Nouwen, Henri - The Return of the Prodigal Son. O'Connor, Flannery - Bear It Away. O'Connor, Flannery - Short stories. O'Connor, Flannery - Letters, A Habit of Being. Therese of Lisieux - The Story of a Soul. Undset, Sigid - Kristin Lavransdatter. Walsh, W. T. - Our Lady of Fatima. Waugh, Evelyn - Brideshead Revisited. Weigel, George - Witness to Hope. Wojtyla, Karol - Love and Responsibility. Many on the list I have read before and can endorse, some you will just have to check out for yourself. This booklet is a shorter version of the book Marian Apparitions, the Bible, and the Modern World by Donal Anthony Foley ISBN 0852443137. The booklet version is great and I cannot wait to lay my hands on the full book version of this work. Some of these appearances I was aware of, and some were completely new to me. Knock has always been close to my heart because of my Irish heritage. Foley's main thesis is that Mary always appears for a specific purpose, to draw people back to God, back to faith and back to true devotion to God as Father, Spirit and Son. In the cases studied in this booklet, all are also to prepare people either locally or globally for critical events about to take place. This booklet is a great little read, and I highly recommend it, especially if you lack a knowledge or understanding of the appearances of Mary throughout time and around the world. The book may not convince you of the validity of the appearances, but it will definitely make you think. I am now on my second year of reading this series. I cannot recommend it enough. This year as I finish each volume, I will write a review of each of them. This seventh volume focuses on the Feast days between July and December. For those who don't know, Feast days are attached to specific days, and do not move about the church calendar as the rest of the church year shifts. Examples are Christmas, which is always December 25th each year, or Lent and Easter that shift each year. It has a great set on the Novena to the Immaculate Conception right near the end of the collection. Feast days are divided into a few categories: Saints and Angels, Jesus and Marian. In this volume you will encounter meditations on: St. Thomas, St. Benedict, Our Lady of Mount Carmel, St. Mary Magdalene, St. Ignatius Layola, St. Alphonsus Liguori, The Transfiguration, St. Francis of Assisi and many more. Scepter Press in North America has just reprinted them again this fall. much meat in these devotions that I am already planning on reading them again next year. This is a full version of the Pocket Handbook for Christian Apologetics written by the same authors. Recently updated with a fresh new cover, it doesn't appear that much else changed. Yet this has been considered a classic on the subject since its publication back in 1994. Used extensively in Campus ministries, and in both Catholic and Evangelical traditions, this book is very unique. This book used to be required reading for Campus Crusade for Christ Staff in Canada, and because it is an Intervarsity Press book, is used widely in that campus ministry also. Even the Navigators of Canada Resource center always keeps it in stock. With such wide usage and varied acclaim, this book hardly even needs more of a plug. But it is truly a treasure. It answers hundreds of questions crucial to a deep understanding of Christianity and the claims of Christ. It tackles such large issues as: Do faith and reason conflict? Does God exist? Is the bible myth? Was Jesus more than a man? How can God allow evil to exist? Is there life after death? Miracles? And there are many more. The chapters are nearly the same as the Pocket Handbook, and it also contains an extensive bibliography, scriptural index and subject index. These two indexes make the book great as a quick reference guide or for research purposes. This book will become indispensable in your Christian toolbox. It is a valuable resource and well worth reading through, then going back to again and again. It will give you all the basics of the Christian faith in one book that has all the answers you will need. Check it out. Like all of Kreeft's other works I have reviewed, I would have to highly recommend this book. And I doubt that you will have a complaint after you have worked through it. This is an abridged version of Handbook for Christian Apologetics written by the same authors. This 'scaled down' version is a great little reference book, and is easily digestible, and hopefully it will draw you in enough to read the larger more complete work. 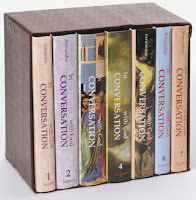 This book is also one in a series, either sold separately or in a boxed set, that includes the following titles: Pocket Dictionary of North American Denominations, Pocket Dictionary for the Biblical Study of Hebrew, Pocket History of Theology, Pocket Dictionary of New Religious Movements. 10. The Bible: Myth or History? And it has a concluding page called 'The Bottom Line'. Each of these chapters is full of information to help you know your faith deeper if you are a Christian, or to help you understand the claims of Christianity if you are not. This is a great resource, either for writing essays, for research, or for personal growth. It will give you all the basics of the Christian faith in one compact little book. Check it out. Like all of Kreeft's other works I have reviewed, I would have to highly recommend this book. 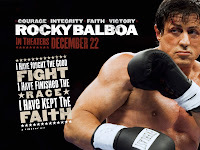 Rocky Balboa is an inspirational story that depicts a man who honorably answers the call in his life. With the odds stacked against him Rocky finds something left to give. The greatest underdog story of our time is back for one final round of the Academy Award-winning Rocky franchise, former heavyweight champion Rocky Balboa steps out of retirement and back into the ring, pitting himself against a new rival in a dramatically different era. After a virtual boxing match declares Rocky Balboa the victor over current champion Mason "The Line" Dixon, the legendary fighter's passion and spirit are reignited. But when his desire to fight in small, regional competitions is trumped by promoters calling for a rematch of the cyber-fight, Balboa must weigh the mental and physical risks of a high profile exhibition match against his need to be in the ring. Rocky Balboa motivates us to face our own challenges with perseverance, community support, and prayer. The story presents a dynamic opportunity for insightful discussions about where we find our courage, how we overcome losses and remain faithful, and what we define as victory. Rocky Balboa (rated PG) stars Sylvester Stallone, Burt Young, MiloVentimiglia, Tony Burton, James Francis Kelly III, Antonio Tarver and Geraldine Hughes. 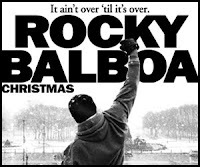 FREE MATERIALS for the upcoming release of Rocky Balboa in theatres December 22 at www.RockyResources.com there are a some great resources for using this movie for a group discussion or small group event. "What is it you said to the kid? The world ain't all sunshine and rainbows. It's a very rough, mean place... and no matter how tough you think you are, it'll always bring you to your knees and keep you there, permanently... if you let it. You or nobody ain't never gonna hit as hard as life. But it ain't about how hard you hit... it's about how hard you can get hit, and keep moving forward... how much you can take, and keep moving forward. If you know what you're worth, go out and get what you're worth. But you gotta be willing to take the hit." "Locked inside each of us is the person we want to be. Others might not recognize it yet, but I'm telling you, it's in there. The passion shouldn't die before we do. Even against rediculous odds, what propels you forward and seperates you from the rest? P.R.I.D.E., which stands for perseverance, Responsibility, integrity, determination, and excitement. If you have these five elements in your life, you can accomplish almost anything." 10. Believe it! Truly, it can be done and it will. 9. Every day - every few hours - see your vision materializing. 8. Don't discuss your dreams. Pursue Them! 6. Don't be afraid of embarrassment while pursuing your goal. It's all part of being committed. 5. Being naive is business and in understanding human nature is a recipe for disaster. 4. Study people's success stories hard. Study their failures even harder. 3. Enthusiasm is like a wonderful disease -keep spreading it until everyone's infected. 2. Only choose a goal that - if you had to - you'd gladly pursue for free. In order to achieve success, you've got to follow your passion. 1. Most Important: If it's not broken, break it. That's how new discoveries are made. That's why everything that changes life is called a breakthrough." This is another amazing book by Lewis, and another that I have read multiple times. I have had to read it for at least three university courses over the last 18 years. This book is unlike anything else that Lewis ever wrote. It is raw, visceral and at times disturbing, unlike most of his other work that is very precise, specific, well argued and clearly laid out. Recently I heard this story: 'Douglas Gresham, C.S. Lewis's stepson recently released a book about Lewis called Jack's Life. It includes a DVD interview, where Gresham states that Lewis did not intend to publish A Grief Observed; it was a personal notebook. When it was published it was under the pseudonym NW Clark and by a publisher Lewis had never published with. Gresham also said that Lewis received numerous copies of the book as gifts from friends who thought it would help.' That speaks to the power in Lewis's writing; even his friends thought the book would be helpful for him as he journeyed through his grief. Lewis states in his book The Four Loves: "We shall draw nearer to God, not by trying to avoid the sufferings inherent in all loves, but by accepting them and offering them to Him, throwing away all defensive armour. If our hearts need to be broken, and if He chooses this as the way in which they should break, so be it." That view is drastically changed when he writes Grief. In A Grief Observed we have a very different approach. Lewis presents a very visceral response to the loss of his wife. An example of this is that Lewis states at the beginning of the book: "No one ever told me that grief felt so like fear. I am not afraid, but the sensation is like being afraid. The same fluttering in the stomach, the same restlessness, the yawning. I keep on swallowing." This book shows us more of Lewis's own heart and life than almost anything else he wrote. It is a great book for those dealing with loss - either for yourself or for someone you know and love. It is often used in grief counseling, and one of the courses I read it for was on the spirituality of death and dying. This book is a gem in the cannon of Lewis literature. It will not disappoint. This is another great little booklet from Scepter Press It is a real eye- opener. Chevrot approaches the parable of the prodigal son like no other author I have encountered. He helps us to see ourselves in each of the roles in this parable and helps us to see the significance of the real conversion in the repentant son's life. Considering this book has fewer than 60 pages, it has more content than many ten times that size. This book almost demands that you put it down and meditate on what you have read, or to take time to reflect before moving on, or even to pray about what you have read and the impact that that can have on your life. Chevrot states: "And it is no exaggeration to say that our whole Christian life is one continual conversion. Conversion is, not as some people imagine, a precondition for beginning a Christian Life, a sort of antechamber through which one must pass to be admitted to the kingdom. It is the permanent state of the Christian Life. And this radical transformation, which is aimed at making us into God's children, is never complete." p.49-50 (at least here on earth). This booklet will open your eyes, and help you to open your heart to God's grace and love. For as Chevrot says: "The prodigal never thought how happy he was going to make his father. And we too forget that God is happy when he sees us coming towards him. It's unbelievable, I grant you. We could never have known this truth if the Son of God had not come down from Heaven to tell us so." p.55-56 This book will help you grow in experiencing this truth. I seem to be very unproductive lately, at least when it comes to school work. I got up this morning with 100 pages of schoolwork left to read for the term. Now 8 hours later I still have 80 pages to read. Abby, is out at the grandparents for the day so I can get some work done. My wife is working, and I ain't accomplishing much. First I split a lb of bacon with our housemate and some pancakes for breakfast. Then 2 quad grande americano's and still not much focus or drive. This work needs to get done I have an online exam I have to take by Friday. Even last night I watch the Habs beat the leafs and wrote 3 book revi ews but got no school work done, once the hockey was one. Where oh where has all my discipline gone. My work place maybe too many distractions, and even a couch for naps. Maybe I need a more austere work place. Hardly an hour goes by without Thomas Serafin or one of his cyber-sleuths checking what eBay has to offer. They're not hunting for bargains and never place a bid. Their interest is bone shards, bits of wizened flesh and a contemporary twist on the sacred and the profane: How the ancient trade in the most coveted religious relics has moved into the global flea market of online bidding. "You can find bone fragments supposedly from St. Augustine being hawked on the Internet along with trinkets and antiques. 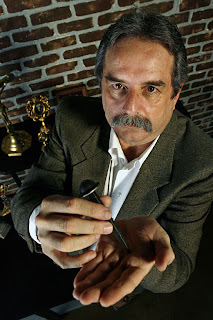 There is something very wrong here," said Serafin, a professional photographer and Catholic activist based in Los Angeles, who has led an expanding campaign since the late 1990s to block the online sale of objects purported to contain the remains of Christian saints. Last month, Serafin's group, the International Crusade for Holy Relics, opened a new front that's truly worthy of a David and Goliath metaphor: a call to boycott eBay. It seeks to pressure the world's largest online auction site to close alleged loopholes used to bypass its ban on allowing bids for human remains. Hani Durzy, spokesman for eBay, said the San Jose, Calif.-based company is "very willing to reopen talks" with Serafin's group about its concerns after discussions broke off about a year ago. "As far as the boycott, well, we've really seen no impact to speak of," said Durzy. "We don't know if it's even still in place." But Serafin said the symbolism is what's important. "Yes, it's just a blip on the screen," he said. "But we want to make a point. They are taking the same position as Judas. They are selling out the church." Interest in religious patrimony of all types - from icons to stained glass - has soared in recent years, along with the blockbuster novel The Da Vinci Code, the Christian-themed Left Behind series and major museum exhibits devoted to art and spirituality. At the same time, a flood of ecclesiastical items has entered mainstream antiquarian markets from once-flourishing churches that were closed because of shrinking congregations or population shifts away from older city neighborhoods. But the sale of so-called "first-class relics" - bone, flesh, hair, nails and fragments of other body parts - remains a murky subculture, one that's increasingly shifting from the back rooms of dealers' shops to the Web's worldwide mall. Dozens of religious items are on eBay at any time. Most are ordinary objects such as icons, medals or prayer cards. But Serafin believes the strongest interest is for the first-class relics, which he says has accounted for up to 40% of the eBay relic listings at times. "This is where the real action is," he said. "This is where our fight is." 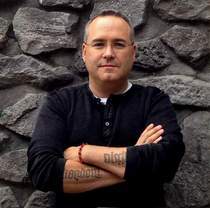 Serafin describes his motivation as part consciousness raiser and part consumer crusader. He calls the sale of such relics deeply offensive to believers in their sanctity. Then there is the caveat emptor - or "let the buyer beware" - factor. Clear documentation on a first-class relic is extremely rare and fraud is as old as faith - as noted more than 600 years ago in a scene from The Canterbury Tales in which pigs' bones and a pillow case are part of a cache of dubious religious relics brought from Rome. Some recent offerings on eBay include "the air" that Christ breathed, the wing of the Holy Spirit and "the hand" of St. Stephen. Serafin also says the rules - both canon and eBay's - are on his side. Most churches with centuries-old traditions in the display and veneration of relics, including the Roman Catholic and Orthodox, prohibit the sale of any objects believed to hold body parts. The extensive list of eBay's banned items include Nazi paraphernalia, firearms and ammunition and "human parts and remains." Durzy said eBay has more than 2,000 people assigned to cull prohibited items, but noted that blanket enforcement is a challenge with up to 7 million new items going up for bid every day. Sellers don't make it any easier. Many now make a point of saying that the reliquary, or container, is for sale and the actual relic is a "gift." There are even conflicting linguistic signals. On Monday, a seller posted a relic of St. Eymard, a 19th century French priest, that was described as "ex ossibus," Latin for "from the bones." But the fuller text says the relic "does not contain any human parts." Attempts by The Associated Press to reach the seller - and several other relic dealers on eBay - via e-mail contact information were unsuccessful. "We just want the same rules that apply to guns, Nazi items or the bones of American Indians," said Serafin, whose group is a loose association of about 200 members around the world ranging from a Russian Orthodox archbishop to Catholic priests and lay people. Across the time zones, they try to keep a round-the-clock vigil on eBay for any suspicious relics. They fire off e-mails to eBay and the seller - who is often known only by an online nickname and e-mail address - asking for the item to be withdrawn. But it's a cumbersome process. In late October, Serafin's group protested what they considered an "ex ossibus" relic of the 19th century St. John Vianney, the patron saint of parish priests. The sale went ahead, starting at $25. Twenty-seven bids later, an anonymous buyer picked it up for $565, plus $12 shipping. This is an amazing book, even if the film a few years back failed to capture the magic of the story. This book is often used in Children's Literature courses, and is also used in grief counseling for children. It has much to offer on many different levels. The Tucks have a secret, and their secret can either be seen as a blessing or a curse. The Tucks drank from a magic spring and now they cannot die. Young Winnie Foster finds out their secret and so the Tucks take her home to try and explain the secret and the importance of keeping it. Yet now the town is in an uproar looking for the Tucks, and the family needs Winnie's help. The writing is excellent, and the story will keep you turning the pages. If you are looking for a book for yourself or to read to children in your life, this is an excellent pick. Well written, with impeccable prose, you will not be disappointed.